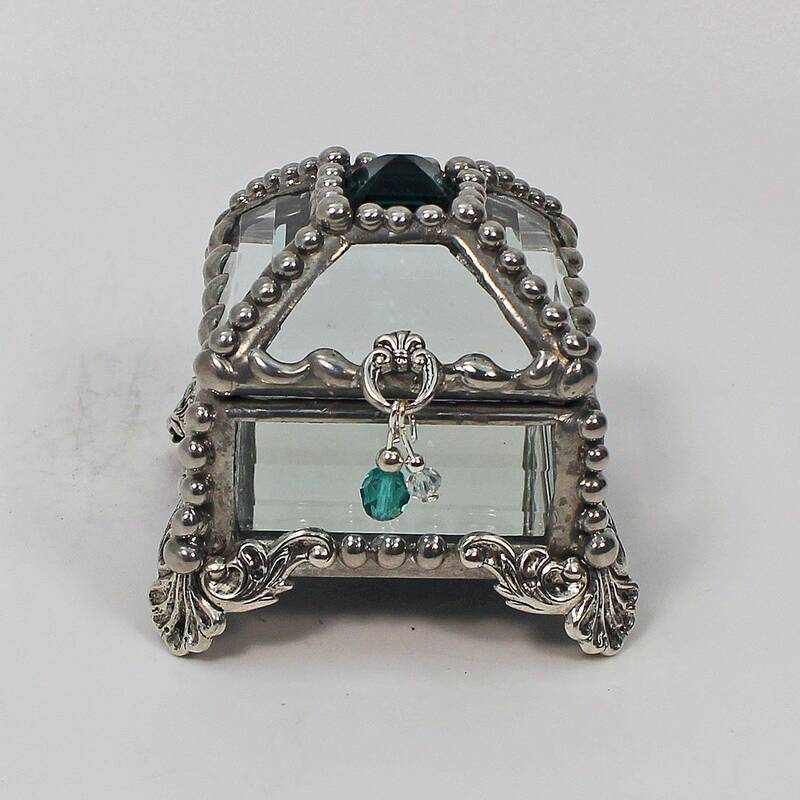 This box has a vintage emerald glass jewel set into the top. The sides of both top and bottom are cut from beveled glass. The inside bottom is made from mirror which captures and reflects the light back through the bevels and the jeweled top. 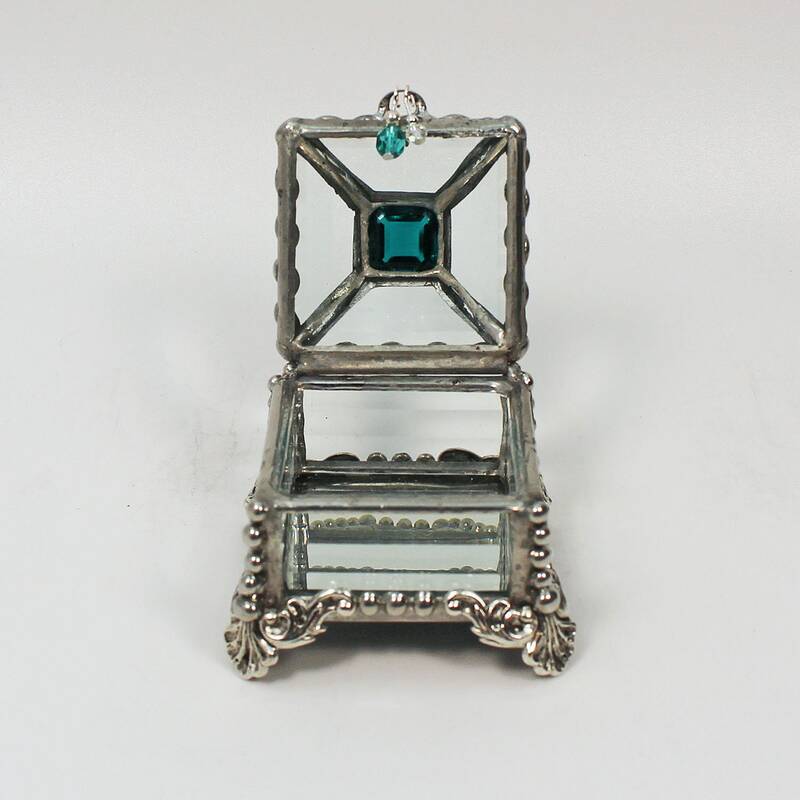 The vintage jewel is from the 1920's. Hand worked metal beading brings to mind the Faberge Eggs. 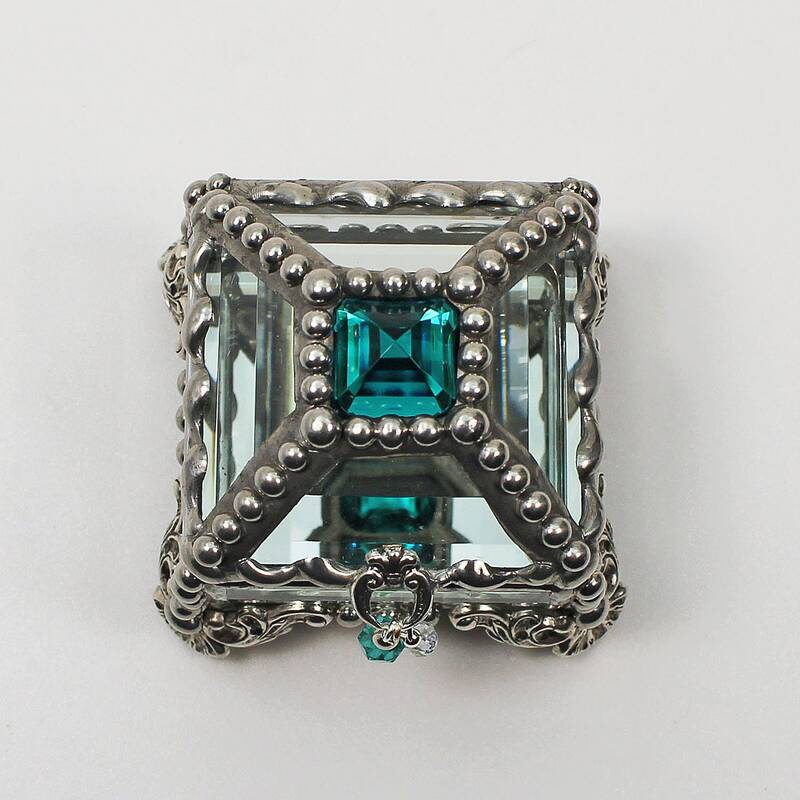 Measures 1.5" x 1.5" x 2"